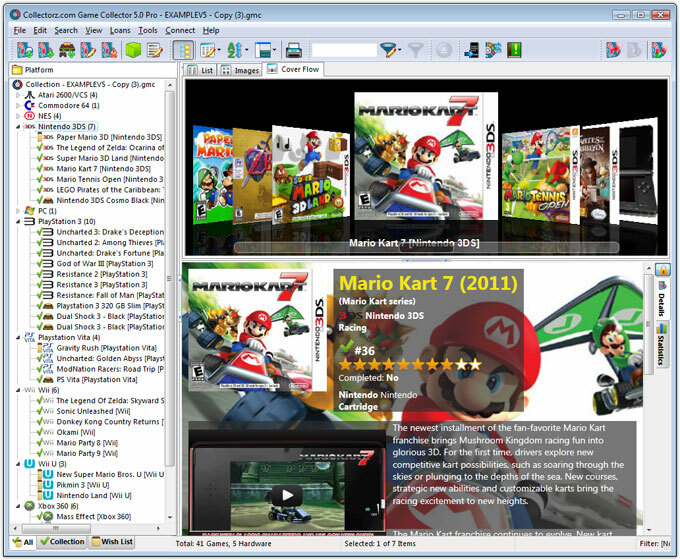 Great review of our Comic Collector software at the Comic Booked website! 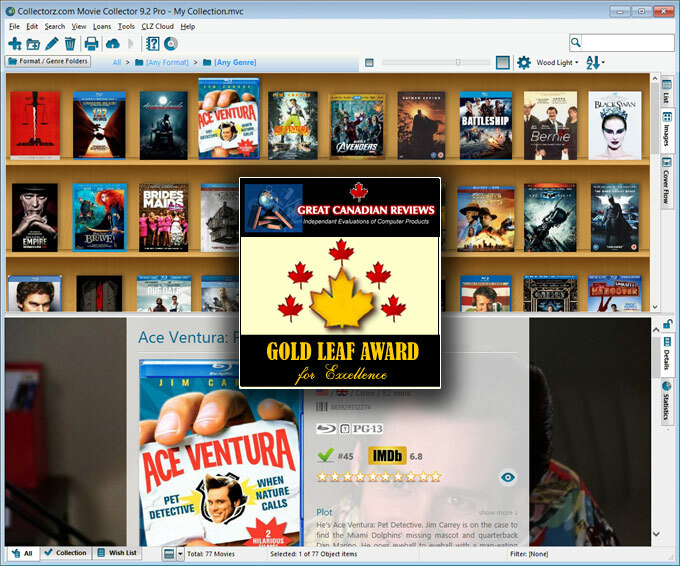 Great Canadian Reviews, the source for independent evaluations of computer products, reviewed Movie Collector. WOW! Thanks for the honor. “Friends and readers would be aware of my woes of cataloguing books, DVDs and Blu Rays. I don’t own too many, roughly about 1200 books and 500 DVDs, but managing them can be a nightmare. Especially when items are regularly borrowed and returned. It took me a while to remember who hadn’t returned my copy of White Teeth or the original Festen. For a long time now, I have been seeking a software to catalogue them or a barcode scanner that can scan and update the status of items when they are added or borrowed ( a la a public library). So far, I didn’t find anything that was complete or met all of my needs. GeekExchange.com reviewed Comic Connect, our online cataloging tool. Torontothumbs.com already reviewed Movie Collector and now also Game Collector. Complete review can be found here. Mika Malja from MoviesGamesGadgets.com reviewed Movie Collector for his own DVD collection. “Some people may wonder why anybody should use a cataloging software because of course everybody knows the names and everything else of their 5 – 10 or in some cases even 20 movies that they own. And if that’s the amount of movies that you own then you definitely don’t need any cataloging software whatsoever. Read his complete review on MoviesGamesGadgets.com. “THE DAY IS UPON US. Ladies and Gentlemen, I…I don’t even know how to begin. I just want to say I’ve appreciated all of your support and and and…okay. I’m being a bit dramatic. The point I’m trying – and failing – to make is that I’M FINALLY COMPILING A COMPREHENSIVE LIST OF ALL OF MY VIDEOGAMES. That’s right – that tab labeled “My Collection”, which has just been sitting up there for over a year, will finally serve a purpose. You can follow her progress on her blog, she keeps a list online. Cool, we were mentioned in the Columbia Daily Tribune! Local computer consultant Scott A. May reviewed Movie Collector for his own movie collection and liked very much what he saw. All things games site Digitally Downloaded.net reviewed Game Collector. Our CLZ apps were apps of the day at ARN Australia. 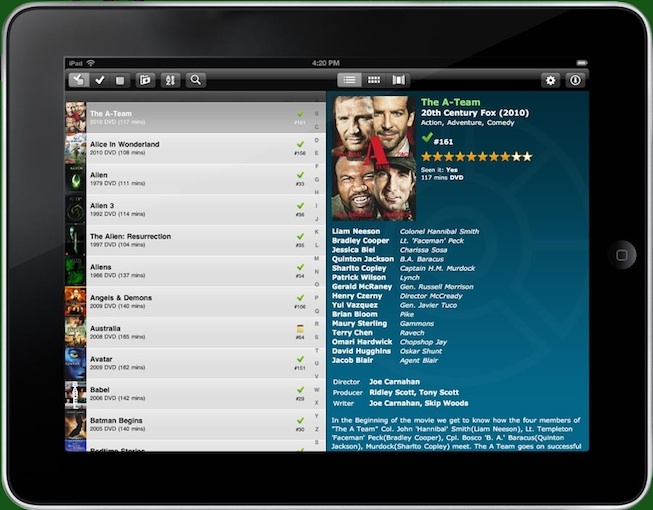 Check out this cool review of Comic Collector and CLZ Comics HD for iPad over at the GVE-Podcast.com. “Over the years I tried many times to properly catalog my ever-growing comic book collection. Once, when there were only a few hundred, I think I had them in a notebook – problem being that I’d run out of space on a page for additional issues if it wasn’t planned right, and keeping things in numeric order was tedious. Next was a smaller version of my collection on a single sheet of paper, in Word or some word processing program, just listing title and issue number. Convenient to keep in my pocket as a “want-it-got-it” list, but impossible to keep complete or neat, and got lost along the way somewhere. Much later, I developed a spreadsheet to enter in my collection, but the shortcomings were still huge. It was unwieldy, required lots of time to manually enter the numbers (right click, insert line, grrrr…) and was a work in progress as I discovered how tough it was to categorize and then find things again. It couldn’t be carried with me or easily converted into a want list suitable for carrying. With renumbering, new volumes and multiple special editions and deluxe editions, it became evident that just issue numbers weren’t enough – and when you’ve got a collection this size, issue numbers mean increasingly less as the old brain doesn’t connect with all of them anymore. It didn’t take long before I lost interest totally. Movie Collector 8 was reviewed by Harry Thomas of the San Antonio Express-News. “I had bypassed upgrading my Movie Collector database software from version 6 to 7 because I didn’t see any point in it. The new features they were advertising weren’t necessary for my collection. But when they announced version 8 a few weeks ago, something caught my eye: the addition of trailers. “I know it sounds dumb now, but back in the day I would keep track of my movie collection by using a pen and paper. I had a paper notebook and I would write down in it. But now I know better; I know that there are software applications out there that can do a way better job than that.